The NCL cruise ship has returned to service after completing a three-week dry dock at the Grand Bahama Shipyard in Freeport, Bahamas. The ship is now like new with updated features and eight new venues. The new venues added during the dry dock were The Local Bar & Grill, La Cucina for classic Italian fare, Sugarcane Mojito Bar, Topsiders poolside bar, Bliss Ultra Lounge and Spinnaker Lounge, and a full-service Starbucks licensed store. The Pinnacle Lounge and Sushi Bar are also two new venues which are firsts in the fleet. There were all kinds of enhancements around the ship including the complimentary Palace and Crossings Main Dining Rooms, Garden Café and The Great Outdoors. The two specialty restaurants Cagney’s and Le Bistro were also given some attention. The atrium was refreshed with a new look along with the pool deck area. As expected when it comes to cruise ship upgrades the staterooms were refreshed with those essential USB outlets, new TV’s, carpets and modern finishings. It is also a good chance for maintenance to be done and a shiny new coat of paint on the hull. 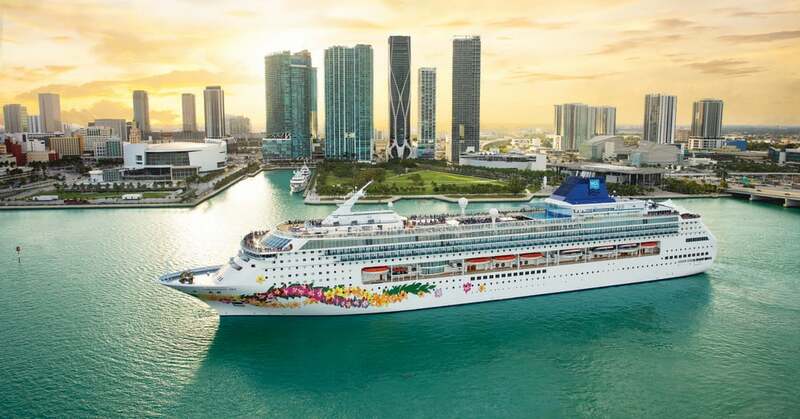 Norwegian Sky is now offering year round 3-day and 4-day cruises to the Bahamas; and 4-day and 5-day cruises to Bahamas and Cuba with an overnight in Havana. The ship has 1,002 staterooms at 77,100 gross tons with a guest capacity of over 2,000 at double occupancy.